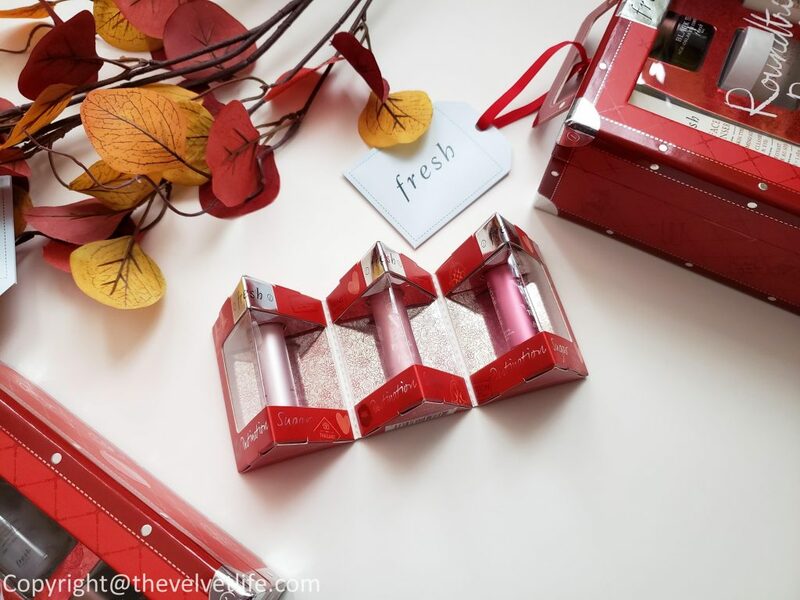 Fresh has a really amazing and much-awaited launch – their first night cream. 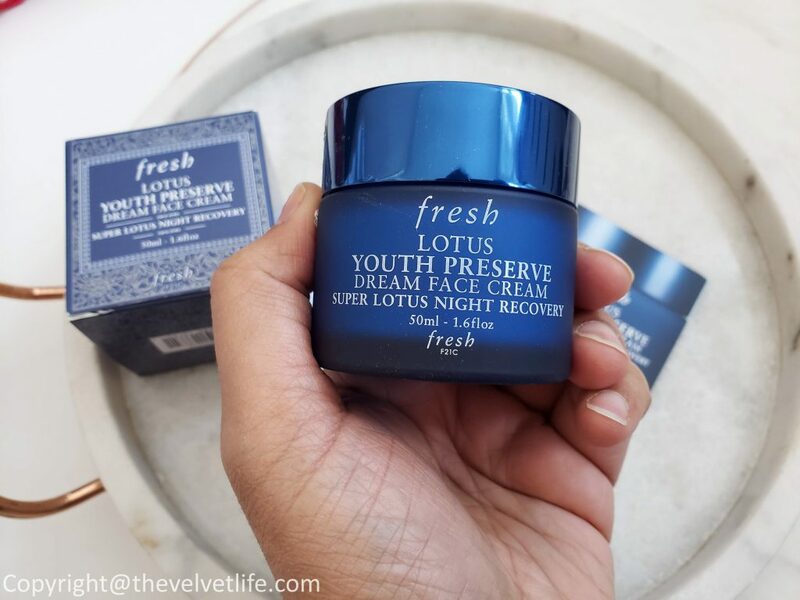 Fresh Lotus Youth Preserve Dream Night Cream is all you need in a night cream – the texture is luscious yet lightweight, the formula helps skin look fresh, de-stressed, and moisturized while keeping the skin comfortable while it works overnight. It is power packed with the antioxidants that detoxify and helps recover the skin from the day. The new star ingredient in Fresh Lotus Youth Preserve Dream Night Cream is Super Lotus which captures the natural power of the whole living lotus plant when they are in full bloom. The process involves gently pressing the plant to extract the juice and then concentrated further to create the key ingredient Super Lotus. 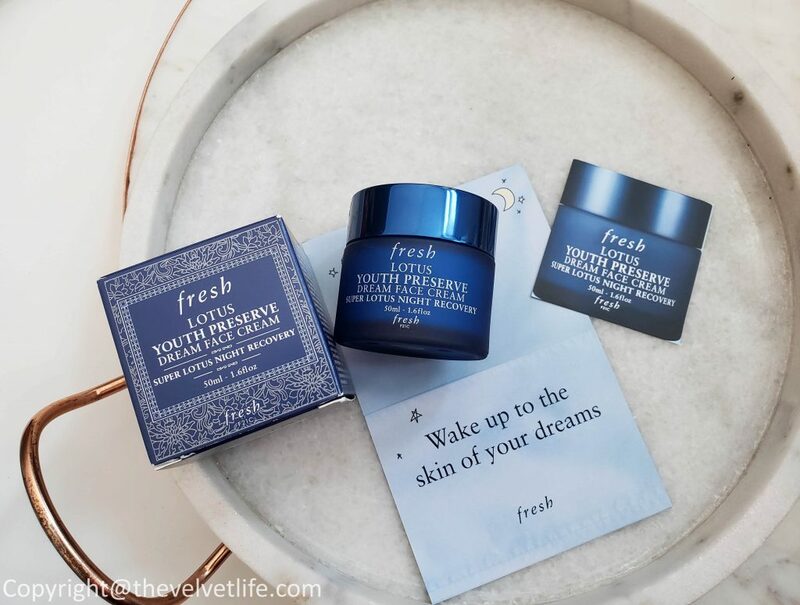 Fresh Lotus Youth Preserve Dream Night Cream is lightweight, whipped moisturizer infused with a delicate peach scent, helps to boost, hydrate, and deliver antioxidant protection for a youthful look. The cream is suitable for all skin types, even for my combination skin prone to congestion. It is a nice moisturizer and does gives a boost to my skin when it is looking dull and in need of help, especially in this harsh winter weather. While using this cream in the night, my skin looks and feels hydrated, comfortable, and supple in the morning. The packaging of the cream is in a heavyweight blue glass jar which looks beautiful. 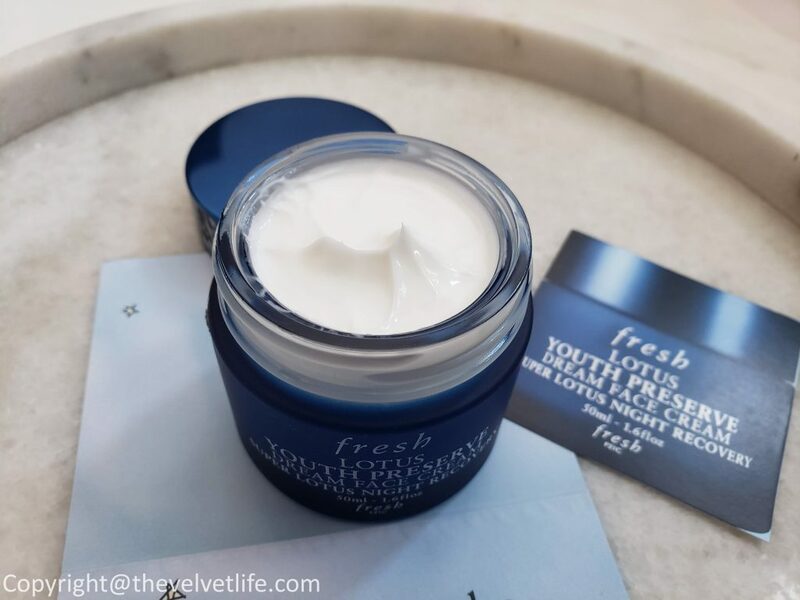 I have tried many products from the brand in the past and there is not one that I didn’t like and very happy to have this new launch – Fresh Lotus Youth Preserve Dream Night Cream in my routine. Fresh Roundtrip Ritual Set comprises of deluxe sizes of products that are great for trying and even to carry on when traveling. I do stock up on this kind of skincare sets because they are my go-to when traveling as I don’t like traveling with my full-size skin care products. 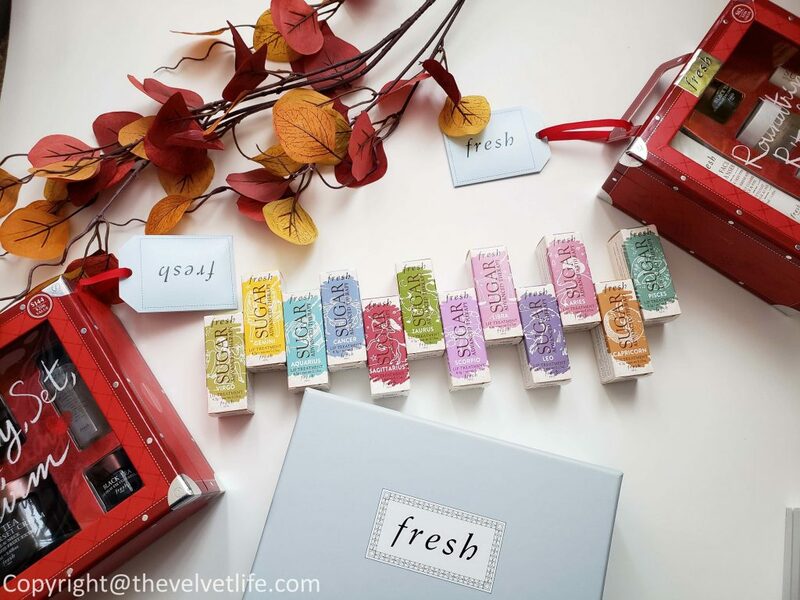 If you followed me during my last vacation, I was carrying most of the products from Fresh in their deluxe sizes. 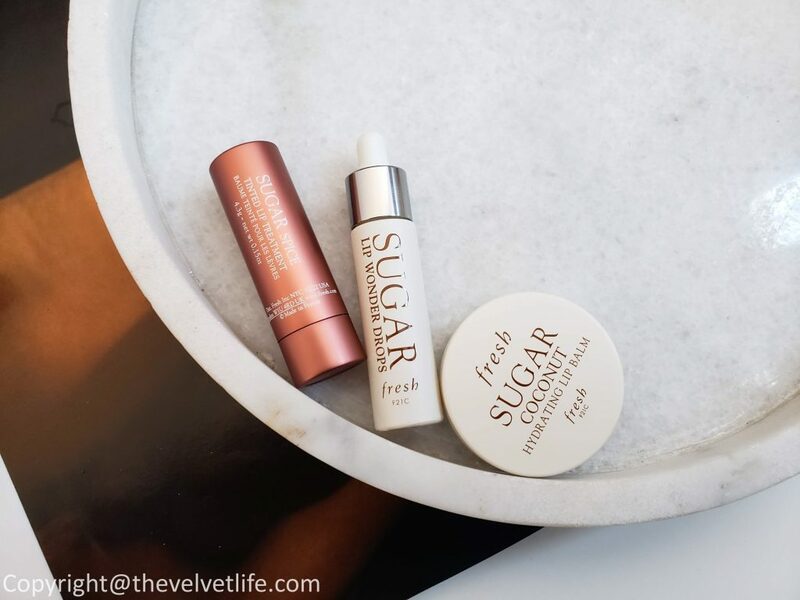 The products make a complete skincare routine, this kit includes a gentle cleanser, a soothing face mask, a depuffing eye cream, radiance-boosting moisturizer, and a plumping lip treatment packed with hyaluronic acid spheres. This set has Soy Face Cleanser – 50ml (reviewed here), Rose Face Mask – 30ml is a cult-favorite hydrating and toning gel mask infused with real rose petals, soothing rosewater, and a “smart” algae that deliver optimum moisture, Black Tea Age-Delay Eye Concentrate – 5ml is an eye cream that diminishes visible signs of aging, dark circles, and puffiness, while moisturizing and firming the eye area, Lotus Youth Preserve Moisturizer – 15ml is a lightweight daily moisturizer proven to prevent visible signs of aging, provide 24 hours of significant moisture, and boost radiance with Fresh’s proprietary Super 7 Complex, Sugar Advanced Therapy Lip Treatment – 2.2g (reviewed here). 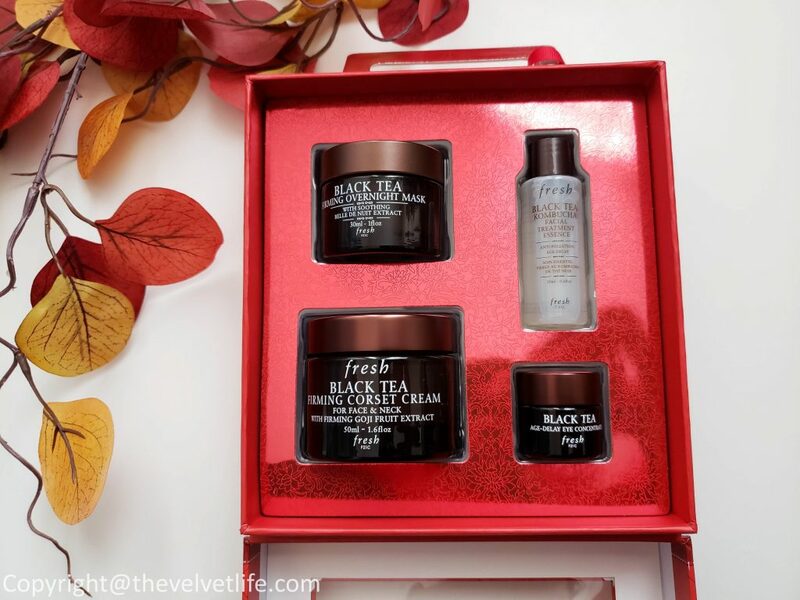 This set contains Black Tea Firming Overnight Mask – 30ml is an intensely moisturizing overnight treatment that visibly firms and redefines the skin contours to achieve a lifted, firmer look by morning, Black Tea Corset Cream Firming Moisturizer – 50ml is a lightweight firming cream for the face and neck that helps to visibly improve skin’s elasticity, providing a corset-like effect for a more lifted look, Black Tea Kombucha Facial Treatment Essence – 20ml (reviewed here), Black Tea Firming and De-Puffing Eye Cream (5ml) is an eye cream that diminishes visible signs of aging, dark circles, and puffiness, while moisturizing and firming the eye area. Not just for dull skin, it is a great value set to start with if you are looking for some products for antiaging. 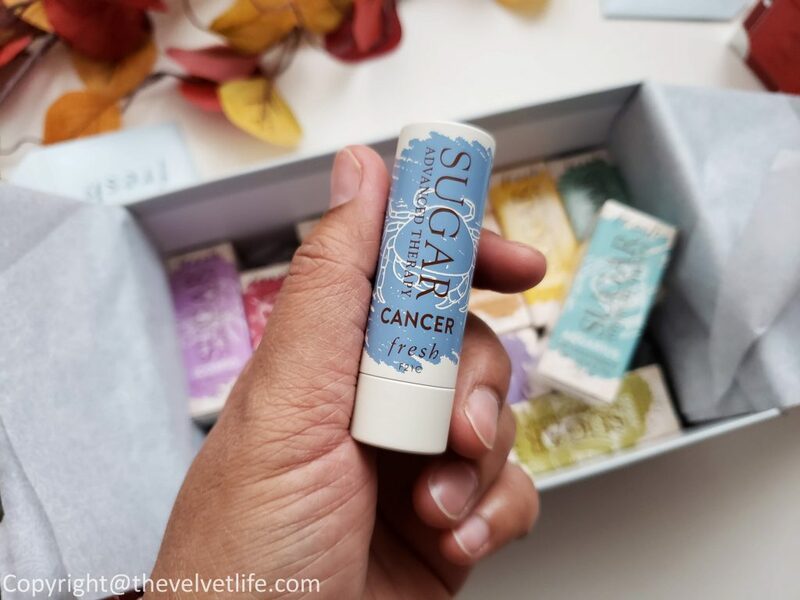 Fresh Limited Edition Zodiac Sugar Lip Treatment Advanced Therapy is a limited-edition balm that celebrates the Zodiac while hydrating for 24 hours and smoothing lips. 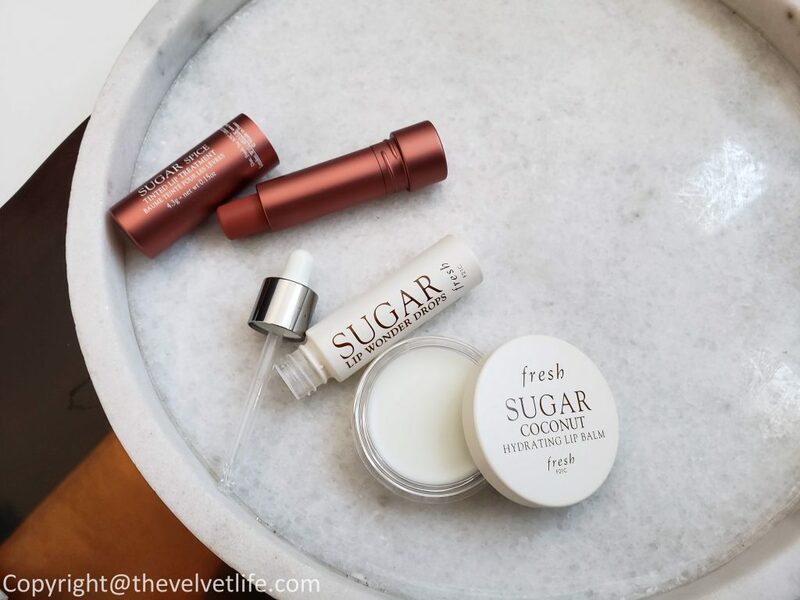 These age-defying balms boost volume and improve definition, making them the perfect overnight treatment or lip color base. 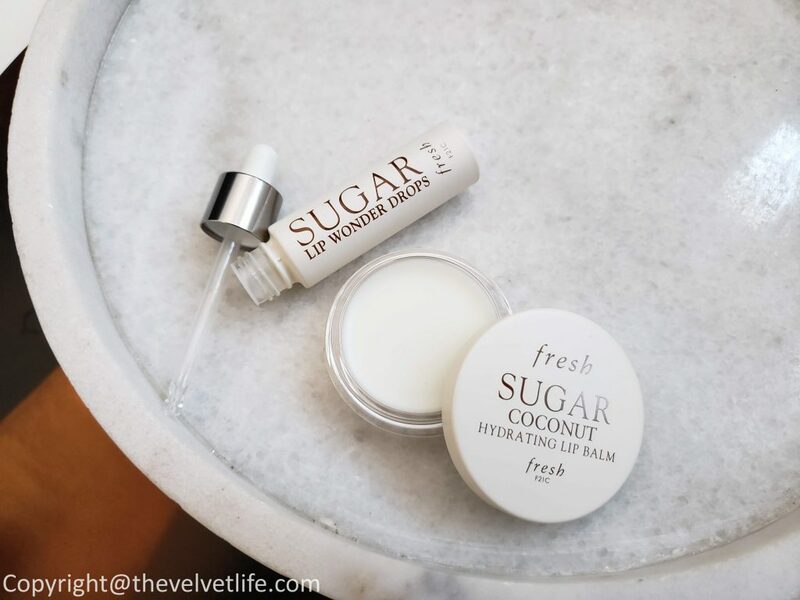 In addition to moisture-locking sugar, the balms contain sea fennel to fill in fine lines and wrinkles. I reviewed the original lip treatment in detail here. This is a really nice formula for dry, dehydrated or chapped lips. ARIES: Selected by Susan Miller, this packaging featuring the Aries ram is magenta, blue mixed with fiery red because it’s the life force of the Zodiac. TAURUS: Selected by Susan Miller, this packaging featuring the Taurus bull is grass green because this is the time of year nature is rejuvenating. GEMINI: Selected by Susan Miller, this packaging featuring the Gemini twins is the bright yellow color of the sun for this brilliant air sign. CANCER: Selected by Susan Miller, this packaging featuring the Cancer crab is silver blue because this sign loves water and is ruled by the moon. LEO: Selected by Susan Miller, this packaging featuring the Leo lion is rich purple, like a king or queen’s robes, to represent royalty. VIRGO: Selected by Susan Miller, this packaging featuring the Virgo maiden is olive green to symbolize this sign’s purity and faithfulness. LIBRA: Selected by Susan Miller, this packaging featuring the Libra scales is soft, feminine pink because the goddess Venus rules this sign. SCORPIO: Selected by Susan Miller, this packaging featuring the Scorpio scorpion is violet to reflect the deeply emotional nature of this sign. SAGITTARIUS: Selected by Susan Miller, this packaging featuring the Sagittarius archer is maroon to symbolize the end of the autumn season. CAPRICORN: Selected by Susan Miller, this packaging featuring the Capricorn sea-goat is earthy orange to reflect the determined, driven spirit of this sign. AQUARIUS: Selected by Susan Miller, this packaging featuring the Aquarius water-bearer is bright aqua because this futuristic sign keeps her gaze on the horizon. PISCES: Selected by Susan Miller, this packaging featuring the Pisces fish is turquoise because this sign is ruled by Neptune, god of the sea. 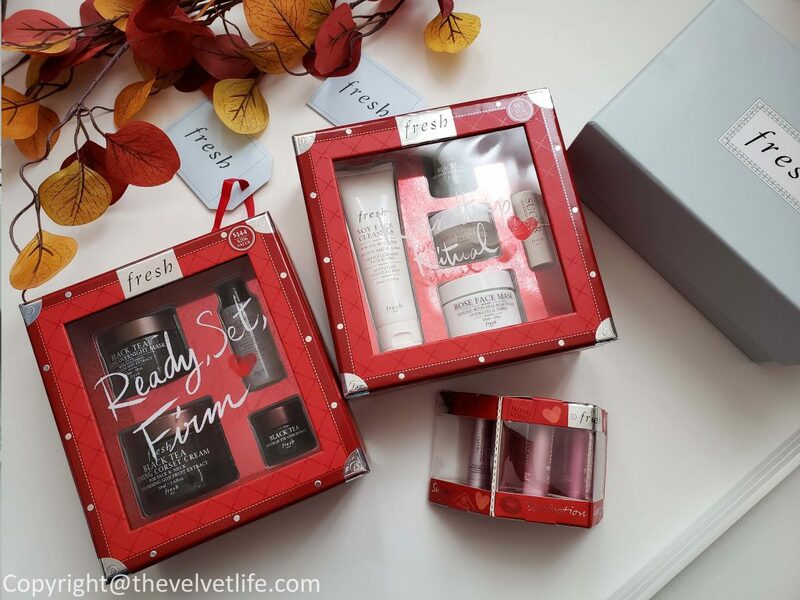 Fresh Beauty Holiday Sets are limited edition and available at Sephora Canada and Sephora.